He prefers that you call him Jermaine, but comic book artists, writers and aficionados worldwide know him by another moniker: Lord Retail. 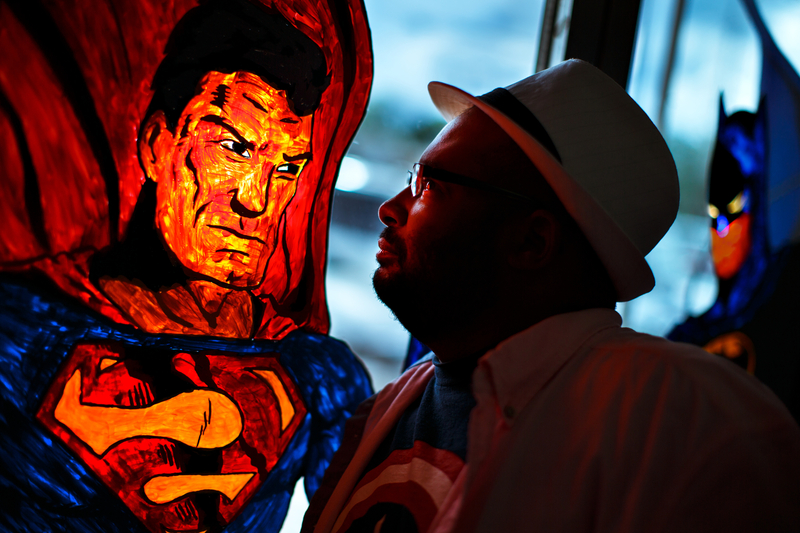 Jermaine Exum runs Acme Comics, the Triad’s largest and oldest comic book shop, and one of the best- known stores in the country. That is thanks in no small part to Jermaine’s leadership, the long-time connections he has built with professionals across the industry, and the inclusive nature of the retail store he has helped build. 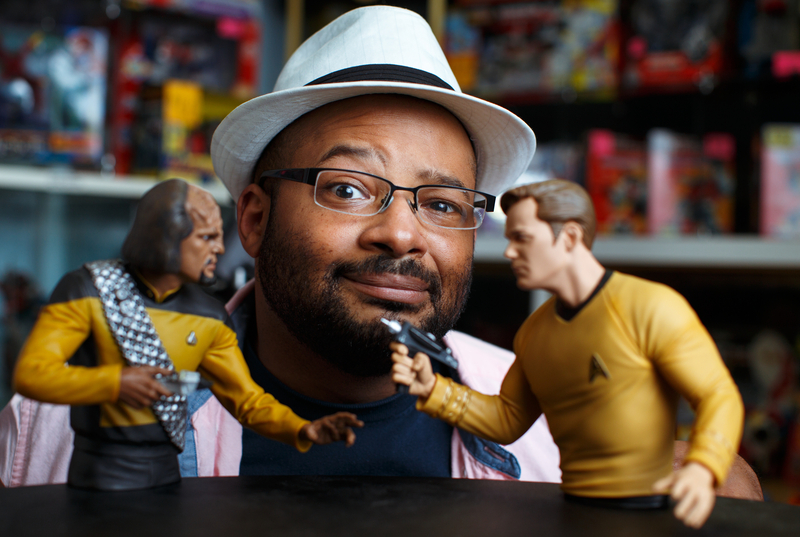 The Greensboro native and Grimsley High School graduate is a lifelong comic book reader. In the mid-90s, he began hanging at Acme regularly when he befriended one of the workers. It wasn’t long before he found himself working there, too. Jermaine and other members of the Acme team host a podcast that draws listeners from around the world. The store itself has been featured in more than a half-dozen special edition comic book covers, including most recently the relaunch of the new Archie series. 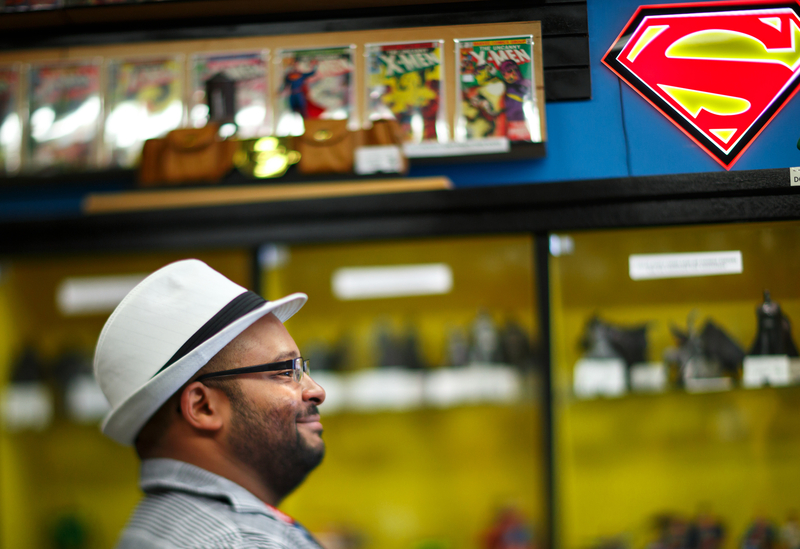 The shop regularly brings big-name artists and writers to town, folks who might not come to a city Greensboro’s size, except that they’ve been chatting on comic book message boards for decades with “Lord Retail,” Jermaine’s online handle. 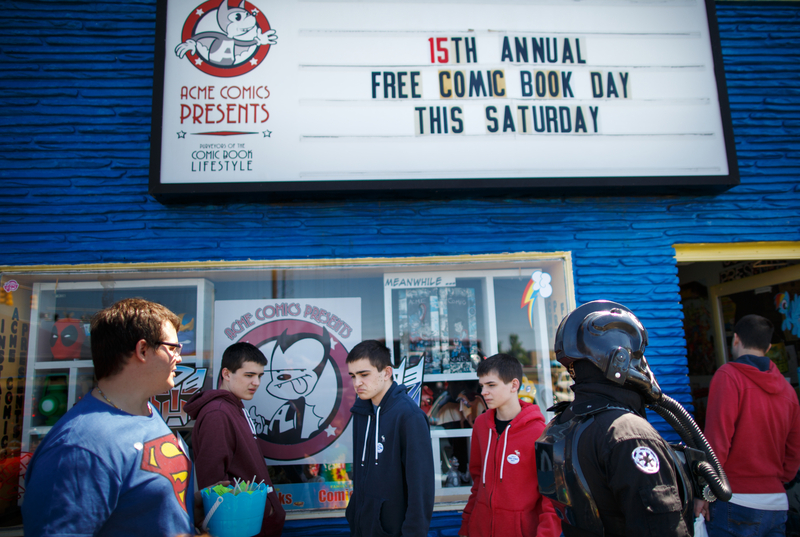 And Acme’s annual Free Comic Book Day event draws thousands of people to locations across Greensboro and High Point – making sure new people get access to comics every year. This year’s event was expanded to a local elementary school where the children need some extra help learning to read. That’s something Jermaine personally championed. “We wanted to be able to offer things to people who couldn’t get to the store,” Jermaine says. Connecting readers to something they love is near and dear to Jermaine’s heart.